Has the wooden table in your living room lost its gentle lustre? Is your wooden kitchen floor scratched beyond recognition by the constant movement of heavy chairs? Fantastic Handyman can restore the appearance of these and many other types of wooden furniture (wardrobes, cabinets, etc.) and protect them from future scratches and blemishes with a carefully applied coat of coloured wax. However, before you pick up the phone to have the specialists over for a “how to wax a tabletop” seminar, you will need to check if your furniture has been coated with either a varnish, lacquer, shellac, or polyurethane finish. But don't sweat it, if you cannot determine this on your own – you can hire a polite technician to inspect all wooden surfaces for you. Waxing a table involves a bit more than just applying wax on the surface and rubbing it in with the nearest semi-clean cloth. And by a bit more we mean cleaning the ancient layers of dust first before going for the polish. Otherwise, the small dust particles will get absorbed by the wax and give your table a rather rugged look. The skilled and practiced specialists know that well and will start by carefully removing all accumulated debris and dust from your chosen piece of furniture. Only after dealing with those will they begin to thinly and evenly apply a reliable wax product on your prized possession. It is a grave mistake to buff the wax before the solvent in the wax has fully evaporated – you will essentially wipe it all off and would have to start from scratch. That is why the experts will only buff the wax once it has completely dried out. During the buffing stage, your aesthetic preferences will also come into play. For example, if the pros proceed to lightly buff the wax coating, the end result will be a satin sheen. On the contrary, more aggressive buffing will result in a stronger sheen, or even a glossy appearance. Besides waxing furniture, the tidy experts can also use their special wood stains and dyes to apply a reliable, weather-resistant finish to any exterior wooden surface of your home. To revive your scratched up light wood furniture, the qualified experts will follow several short steps. They will begin by cleaning the surface of your chair, table, or wardrobe, from all accumulated grime and dust. If they spot any old, already existing wax layer during the inspection, the swift and precise pros will make sure to remove it before applying the coat on top. Finally, they will apply and buff the most suitable type of wax for your wooden surfaces with a delicate furniture wax brush. Keep in mind that the waxing table process involves a bit of drying time between waiting for the Johnson paste wax to completely dry out and buffing the wooden surface to create a finish of your choice. Water-based silicone polish – Suitable for almost any wooden surface, urethane-finished furniture included. 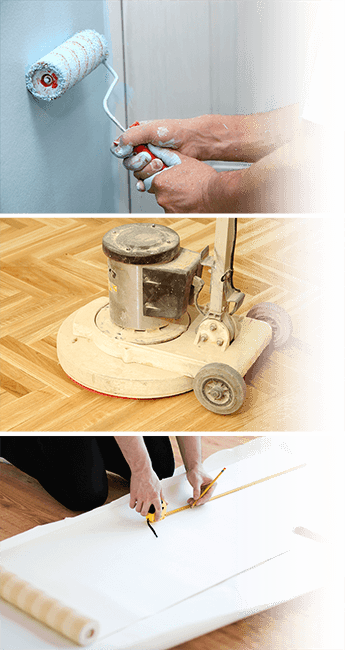 It can cause severe damage when applied on unsealed wood, cork, or linoleum. With this wax type, two or more thin coats of wax are better than one thick coat of wax.